The death of an age. S.M. Yunus Jaffery, Delhi’s great Persian scholar, died on 29 August 2016. He was 86. 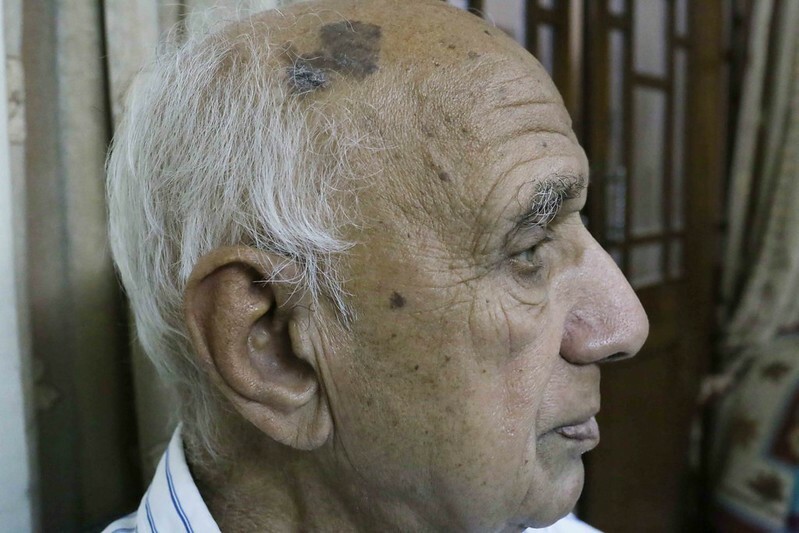 He breathed his last at 4.25 am, the day after a tumor surgery, in Delhi’s Apollo Hospital. Mr Jaffrey, who never married, remained friends with an Iranian woman called Manizheh. He had first met her years ago during a study trip to that country. They had fallen in love but could not be united due to various reasons. 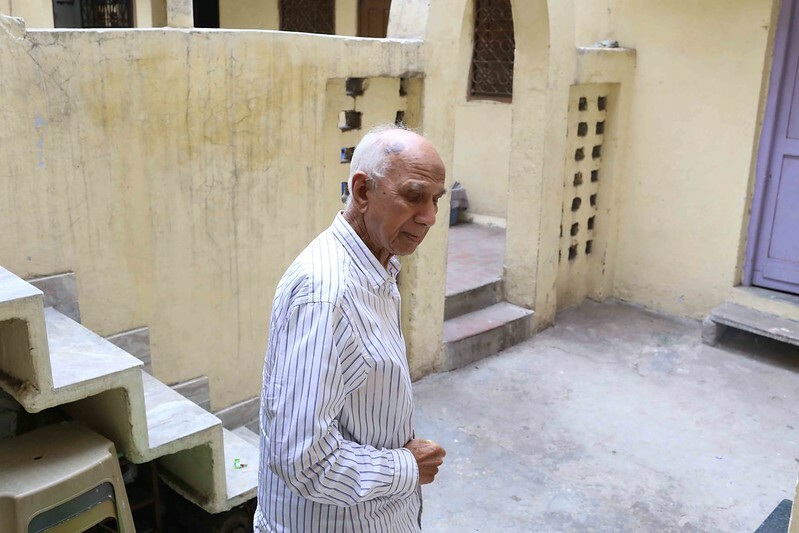 The central figure in his Old Delhi mansion in the congested Ganj Mir Khan, Mr Jaffrey’s world was peopled with his nephews and nieces, and their families. 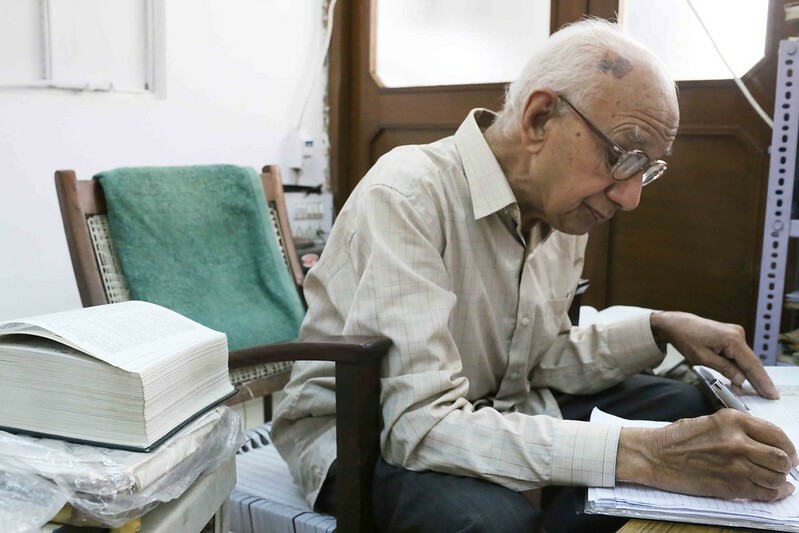 Mr Jaffrey had retired as the head of the Persian department at Delhi University’s Zakir Husain College where he maintained a scholar’s room until recently. An erudite scholar, he was a specialist on the 17th century Persian poet Saib-e-Tabrizi. He had translated the letters of poet Muhammad Iqbal from Urdu to Persian. He had also co-edited and annotated the Persian translation of the Ramayan. 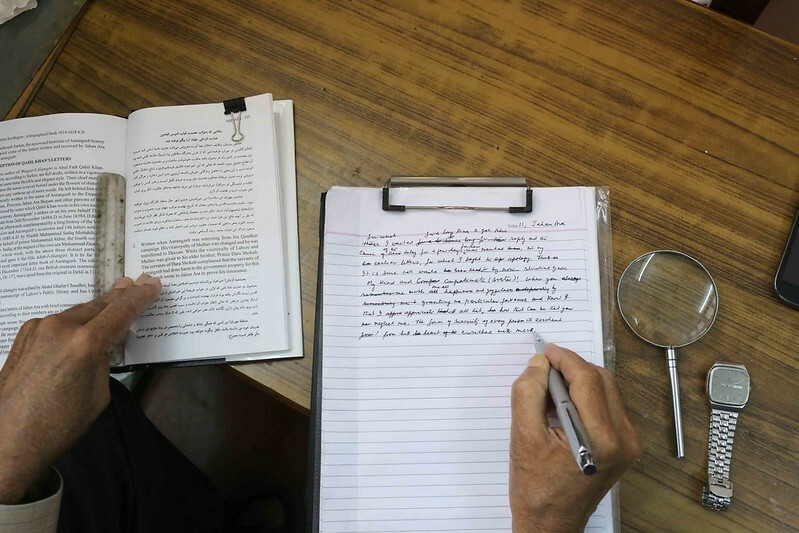 Two of Mr Jaffery’s books—on Persian literature in India, and on Tabrizi—were published in Iran. Four others were published by the Iran Culture House in New Delhi. Mr Jaffery had also written short stories in Urdu and Hindi. 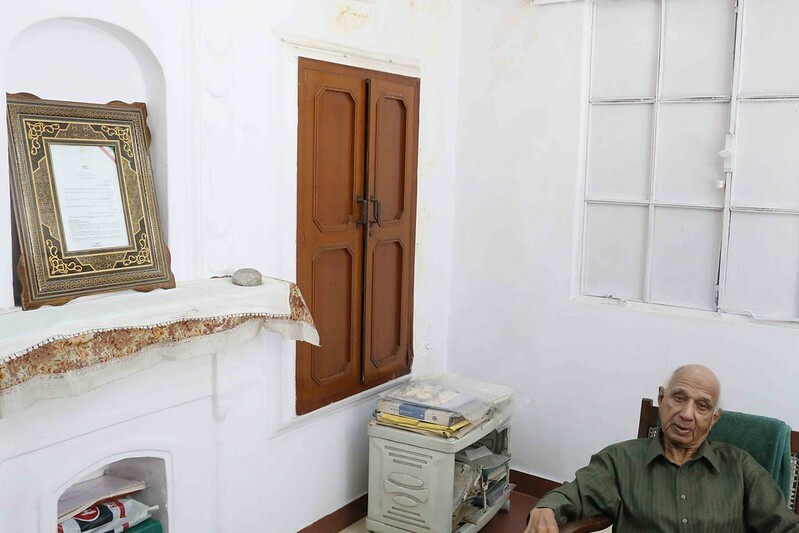 As an authority on Mughal-era Delhi’s Persian heritage, his home was a mecca for foreign authors and research scholars. Author William Dalrymple devoted a chapter to Mr Jaffery in his award winning travelogue City of Djinns: A Year in Delhi (1993). The Delhi Walla had written a long story on Mr Jaffrey here. Mr Jaffrey was eldest in the family. During the last few months of his life, he would often say that he no longer wanted to live. He also gave away most of his books. He has been buried in Dilli Gate Qabristan, the cemetery that is also the final address of his father and grandfather. Oh no! Yunus Jaffery Sahab will be missed. Sad to know. May he rests in peace.